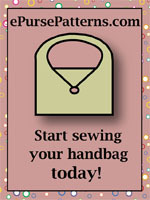 About Us : PursePatterns.com, Sew your own unique purse or bag! 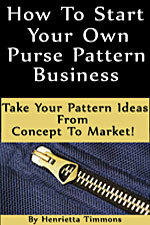 PursePatterns.com is online only, and is owned and operated by Henrietta's Handbags, which has been in the handbag and pattern business since 2001. I (Henrietta Timmons) have been sewing for over 30 years and come from a family of sewers - my mother started making me handbags when I was a teenager, and taught me how to sew. My great-great grandfather custom made leather shoes in the 1800's! Everyone at Purse Patterns is passionate about providing the best customer service possible and we are always interested in your opinions. Please contact us if you have questions about a particular pattern or wish us to carry a pattern that you don't see on our site. 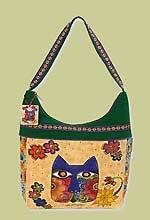 We currently have over 1,800 purse patterns and bag accessories available and will be adding more in the future, included purse hardware.